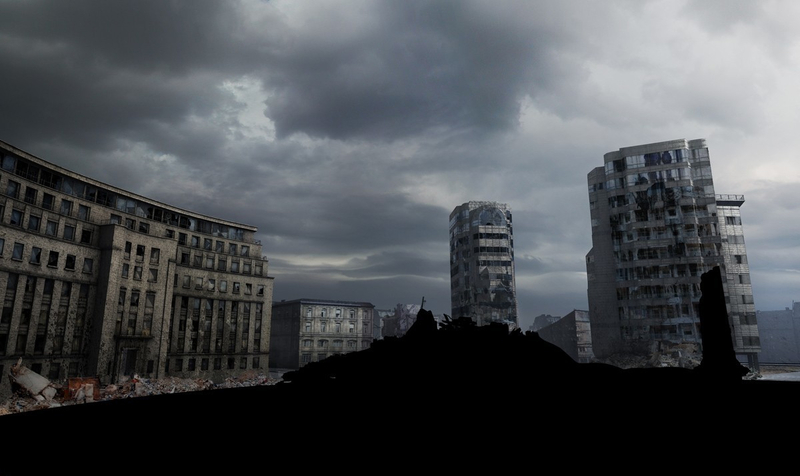 Another one of the matte paintings for the EndWar trailer. It is visible in the trailer when the camera is looking from the russian position and when the Osprey gunship crashes down. I really liked working on these matte paintings and on this project... REally moody pieces. Entirely done in Photoshop over a 3D layout done in XSI over a 3 days period. The black shape masks the spot where the 3D elements where to coincide with the matte. This matte was also reprojected onto 3D geometry once finished.